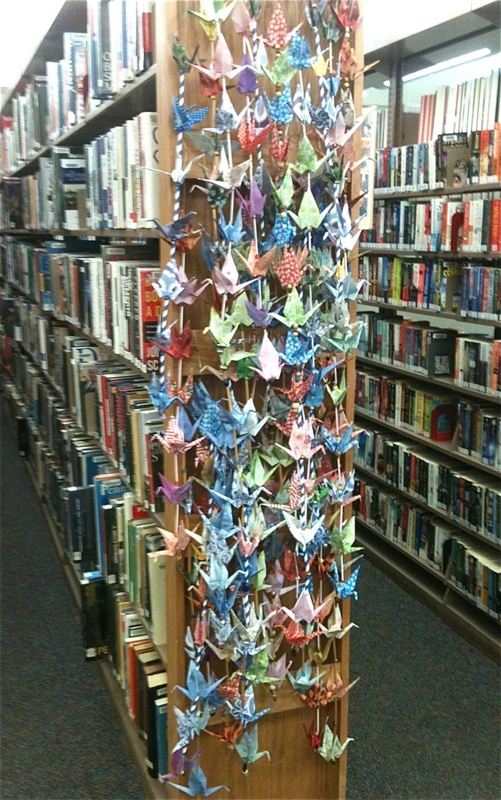 1000 cranes were folded and strung together with 5, 7, 9 and 11 cranes per strand. A variety of materials used included straws and bamboo and wood and glass beads. 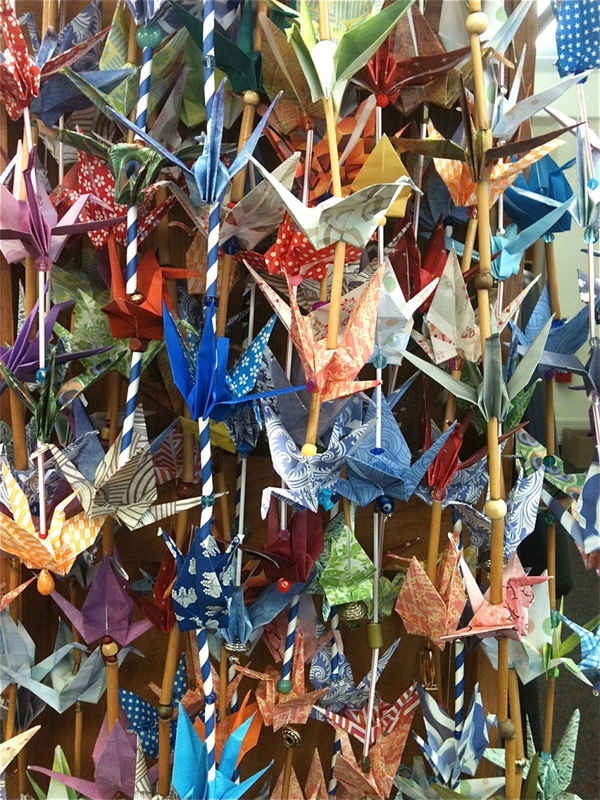 The cranes are part of the recognition of the 70th anniversary of the bombing of Hiroshima. The library will host a variety of events on Saturday, August 2 that include a tea ceremony and a display of kimonos.